Demi Lovato and JoJo have created PSA’s in support of Love Our Children USA's Stomp Out Bullying campaign. October 4th-10th is National Bullying Prevention Awareness Week, and during this week Love Our Children USA is asking kids and teens and their schools and communities to join forces to increase awareness and STOMP Out Bullying. Ways to help include holding rallies at schools and in local communities, starting a bully prevention education club, introducing peer mentoring and observing National Blue Shirt Day on October 5th. Love Our Children USA is offering materials and support to get people started. 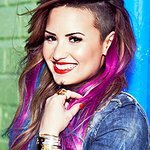 You can watch Demi and JoJo’s PSAs here, and to learn more about the campaign, why bullying happens and how you can help, visit the Stomp Out Bullying site here.